When sickness hits, not many people think to turn to their own pantry for help. While many illnesses must be treated by a doctor, in your kitchen are natural remedies for milder but still aggravating symptoms. Using these, you can make yourself healthy at home and save you and your family a trip to our office! Most people know this potted plant for its burn-relieving gel. But lesser-known are its other skin and even digestive benefits. Aloe vera can be used to aid dermatitis, psoriasis, cold sores, and frostbite. Plus, you can use it as a hair mask for a healthy scalp. Aloe vera also helps with digestive issues, such as inflammation, constipation, IBS, and stomach ulcers. While it helps ease your painful digestive problems, it even boosts the immune system with the zinc contained within it. Whether in tea, stir fries, or soups, ginger acts as an excellent anti-inflammatory. Whether you’ve got muscle pain from exercise, menstrual cramps, or something as severe as osteoarthritis, ginger can help reduce soreness over time. It’s not as immediate as pain relief medication, but increasing your ginger intake can help ease long-lasting pain. 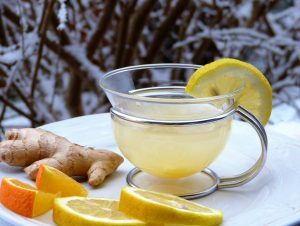 Ginger’s healing properties may help you fight infections and–as any drinker of ginger ale will tell you–relieve nausea. That includes morning sickness, for pregnant natural remedy seekers. Like ginger, garlic is known for fighting bad bacteria and some viral infections, like the common cold or flu. Use it in soups and stews, sauteed with vegetables, or in sauces for anything to pizza to pasta. Adding more garlic to your food gives you benefits like improving your cholesterol levels, getting antioxidants, battling exercise-related fatigue, and detoxing. Another anti-inflammatory, turmeric is also great for fighting mild symptoms of illness. Used in teas, soups, and even in milk, this Indian spice burns toxins and eases bloating or other digestive issues. However, the anti-inflammatory ingredient–curcumin–doesn’t absorb well into the bloodstream. So when you use this spice, it helps to add black pepper as well. Is lemon’s acid still too harsh on your skin? Use honey to help with acne and other complexion problems. Honey shares some of the same benefits as others on this list–like helping digestion, relieving nausea, and easing a sore throat–with the added benefit of being a natural sweetener. It also promotes sleep when combined with warm milk. While coconut probably shouldn’t be consumed in huge quantities because of its high fat content, it still has excellent healthy effects when used externally. Many natural remedy promoters praise coconut oil for its use on hair and skin. Its moisturizing qualities are great for feet, lips, dry skin, and cuticles. Plus, it is good for hair, clear skin, and stretch marks. In moderation, coconut can help convert LDL (“bad” cholesterol) into good cholesterols, promoting heart health and lowering the risk of heart disease. Next time you feel yourself getting sick, you may not have to run straight to the doctor. Try running to your pantry instead to see if you have any of these helpful foods. Naturally, check with your doctor if symptoms are severe or don’t get better after a few uses of these remedies, or if you have questions about beginning a natural healing regimen.